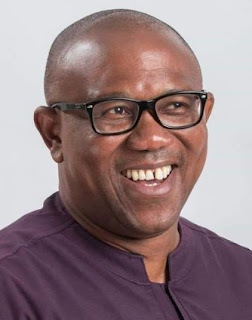 Awka – Former chairmen of local government councils in Anambra have applauded the nomination of Chief Peter Obi as the running mate of Alhaji Atiku Abubakar, the Peoples Democratic Party (PDP) Presidential candidate. The chairmen who were elected during the administration of Obi as governor of Anambra made the commendation in Awka on Saturday. In a congratulatory message made available to journalists, the group said the choice of Obi was an indication that the party consulted widely and settled for the best among equals shortlisted candidates. The group appreciated the sterling performance of Obi as governor of Anambra, adding that Atiku and PDP had not only demonstrated that they were looking for competence but also party loyalty. “We, the association of elected former local government chairmen who served under Obi welcome the announcement of his choice as vice presidential candidate to Alhaji Atiku Abubakar with delight. “As a governor of Anambra, Obi took governance from the level of mediocrity to excellence; all sectors functioned very efficiently up till today, we are still reaping bountifully from his legacy. “He is a good technocrat, performed wonderfully in the private sector as director of banks and a number of businesses. “Obi is also a good politician and we have no iota of doubt that he will add huge value to the chances of PDP in the general election and also complement his principal to a large extent,” the group said. The former chairmen said emergence of Atiku and Obi as presidential and vice presidential candidates was a formidable team that could win the general election. The chairmen said the pair, if they win, had the capacity to set the nation on the pedestal of economic recovery given their rich public and private sector managerial experience.